Student who lives in Clara Hall speaks about how thankful she is for Berry and she gives some background on herself. 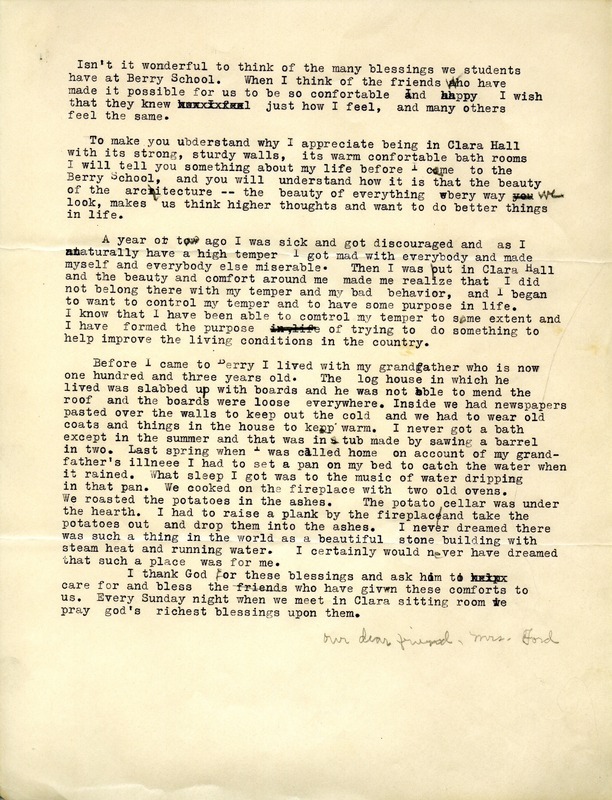 Berry Student, “Letter from Berry Student to Mrs. Ford.” Martha Berry Digital Archive. Eds. Schlitz, Stephanie A., Chelsea Risley, Christy Snider, Angela McCavera, et al. Mount Berry: Berry College, 2013. accessed April 24, 2019, https://mbda.berry.edu/items/show/13357.